Investigators are assessing whether Oraxol, an oral formulation of paclitaxel, will be safer and more efficacious than the widely used chemotherapy drug administered by traditional intravenous (IV) infusion. There are several adverse events (AEs) associated with IV infusion paclitaxel, and researchers believe an oral version of the medication may be able to mitigate or altogether avoid some of them. Paclitaxel, which the FDA initially approved in 1992, remains in broad clinical use for multiple tumor types. However, the drug is highly insoluble and poorly absorbed.2 It uses Cremophor EL as a stabilizing vehicle, which has been associated with hypersensitivity, according to investigators from the University of Otago in Dunedin, New Zealand.2 Cremophor EL requires the use of highdose steroids and antihistamines to lower the risk of severe anaphylaxis, Rudolf Kwan, MBBS, MRCP, chief medical officer of Athenex, said in an interview with OncologyLive®. Oraxol is a combination of oral paclitaxel and HM30181A, a novel inhibitor of intestinal P-glycoprotein (P-gp).2 Results from a pharmacokinetic (PK) study showed that Oraxol administered orally at 205 mg/m2 once daily for 3 days resulted in paclitaxel exposure comparable to that of IV paclitaxel at 80 mg/m2. 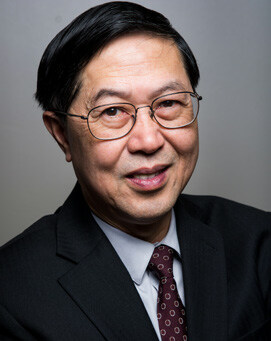 “The reason nobody has previously figured out a way to deliver paclitaxel orally is [that] if you introduce it into the gastrointestinal [GI] tract, the paclitaxel can’t get through its epithelium,” Kwan said. To solve this problem, Oraxol includes the P-gp inhibitor, which prevents the paclitaxel from being pumped back into the GI tract and thereby enhances its bioavailability.3 Paclitaxel binds to and stabilizes the microtubules when the cell is dividing. “There’s a brief phase of cell division and paclitaxel will stop that process; then, over the next few days, those cells will go through apoptosis,” Kwan said. Because of this mechanism, paclitaxel will work only when the cells are dividing, but of course, not all the cancer cells divide at once during an IV infusion process. Therefore, for the majority of a 21-day cycle of intravenously administered therapy, patients will not have the drug actively in their system. With oral administration, Kwan said, the medication can be present in the patient’s system for a longer period of time, and therefore provide an additional window for activity that may lead to better clinical efficacy. In addition to its clinical advantages, Kwan said, an oral formulation would be more convenient for patients because they would be able to take the drug at home. He noted that patients frequently do not feel well after receiving paclitaxel at an infusion center. The effects can linger for 4 or 5 days. In Oraxol 001, patients are being randomized in a 2:1 ratio to receive either Oraxol supplied as 30-mg capsules of paclitaxel plus HM30181A in 15-mg tablets or IV paclitaxel (Figure). To be eligible, participants must have histologically or cytologically confirmed breast cancer with a measurable metastatic target lesion. Patients must also have had IV paclitaxel monotherapy recommended by their oncologist. Kwan noted that an important exclusion criterion is that patients cannot have had a relapse less than 1 year following treatment with a taxane because they may be resistant to the drug. The primary endpoints of the study are tumor response and the safety and tolerability of the novel regimen. Investigators will also be assessing progression-free survival and overall survival as secondary endpoints. Athenex announces positive recommendation by the drug safety monitoring board upon the second interim analysis and to continue the Oraxol phase III program [news release]. Buffalo, NY: Athenex, Inc; September 5, 2018. ir.athenex.com/phoenix.zhtml?c=254495&p=irol-newsArticle&ID=2366074. Accessed October 15, 2018. Jackson C, Deva S, Bayston K, et al. An open-label, randomized cross-over bioavailability and extension study of oral paclitaxel and HM30181 compared with weekly intravenous (IV) paclitaxel in patients with advanced solid tumours. J Clin Oncol. 2018;36(suppl; abstr 2569). meetinglibrary.asco.org/record/158641/abstract. NCI drug dictionary. Oraxol. National Cancer Institute website. cancer.gov/publications/dictionaries/cancer-drug/def/oraxol. Accessed October 9, 2018. Athenex announces encouraging early clinical efficacy and safety data of Oraxol in clinical trial for the treatment of breast cancer [news release]. Buffalo, NY: Athenex, Inc; January 22, 2018. ir.athenex.com/phoenix.zhtml?c=254495&p=irol-newsArticle&ID=2327623. Accessed October 16, 2018. Ma WW, Azad NS, Lam ET, et al. A phase I study to evaluate safety, tolerability, pharmacokinetics and activity of oraxol in patients (pts) with advanced malignancies. J Clin Oncol. 2018;36(suppl; abstr 2526). meetinglibrary.asco.org/record/158594/abstract. Orascovery platform. Athenex website. athenex.com/oncology-innovation/oral-absorption-platform. Accessed October 16, 2018.